This morning the Otara Leisure Centre reminded me of the photos I’ve seen of the Black Panther Party’s food parcel drive. Thousands of brown paper bags filled with sandwiches, fruit and juice packed the back rooms of the Community centre. Dozens of MANA volunteers and supporting parties, parents and activists worked to together to put MANA’s bill into action. Making the Feed the Kids campaign a reality. 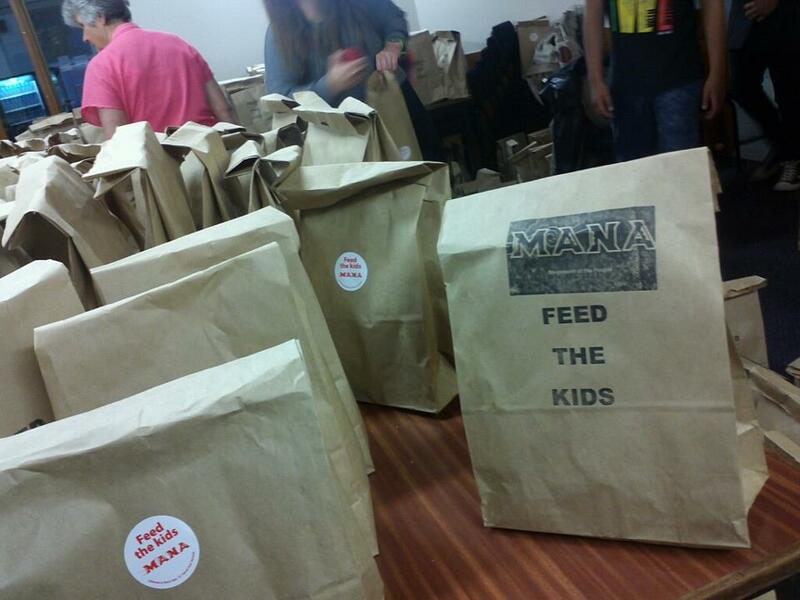 MANA fed over 2000 children in the Feed the Kids campaign this morning, in a massive show of strength and organisation. Thousands of children poured into the stadium each getting a bowl of Weetbix, a packed lunch and some wicked entertainment from the dancing, singing Jgeeks. The stadium pumped with the sound of children chanting ‘feed the kids’ and excited screams. Respect to all the schools who participated, MANA organisers, the volunteers, the unions and other organisations who showed up in support of this campaign. It was awesome to see the NZEI/Te Riu Roa and the PPTA showing their support for this, banners flying. 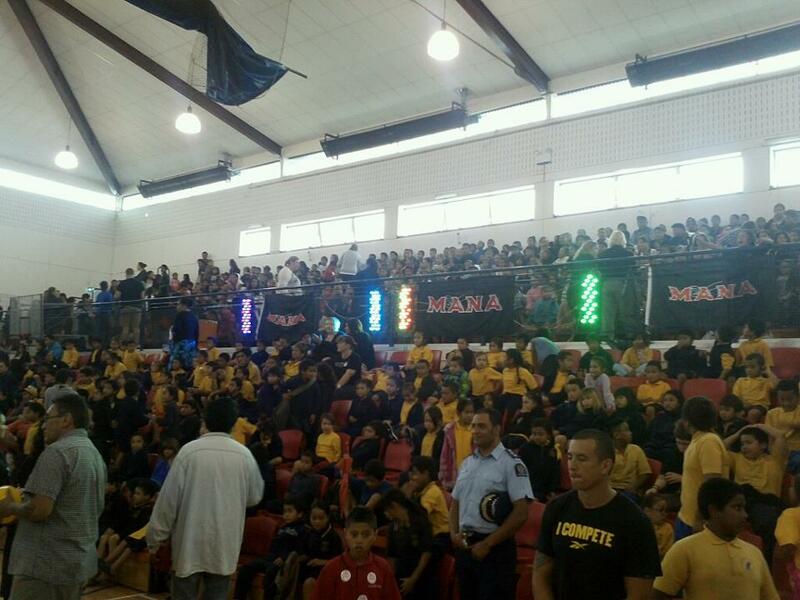 MANA plans to do an event like this in every major city in Aotearoa.